Do a quick search on YouTube and find dozens of videos of teachers "flipping out" to the jeering laughter of students -- a music teacher smashes a violin, another spits on a student in full classroom meltdown. In this form of bullying, known as cyberbaiting, students provoke the teacher to the breaking point, then secretly record the tantrum on a cell phone, then post it online. Not only is it humiliating, demolishing a teacher's morale, but it can cost them their job. In Houston, gym teacher Sherri Davis was fired after kicking her 13-year-old student to the ground and beating him in front of his classmates, who recorded the incident. Sometimes, it's a perfect storm of psychological vulnerability and provocation. Nashville, Tenn., teacher Donald Woods hurled chairs at goading students, but was later diagnosed with bipolar disorder, according to his family. Recently the cyber security company Norton reported that 21 percent of teachers worldwide either experienced cyberbaiting themselves or knew a colleague who was cyberbaited. Many lose their jobs after their outbursts, even though students were the provocateurs. So far, according the Norton study, only 51 percent of teachers said their schools had guidelines for social media communication. 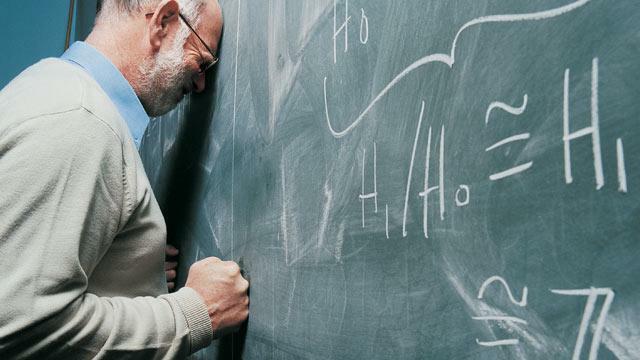 Students have always found a way to needle the teacher -- the hapless substitute or the instructor who has never mastered classroom management skills. But now, they have the high-tech tools to shame the teacher virally. "If it's on YouTube it will spread like a cancer," said Donna Emery, a veteran math teacher from Wilmington, N.C., who now runs a resource center. "Teachers are under attack, period." The teacher "sets the stage" for classroom control and open lines of communication with parents at the beginning of the year, but some teachers don't know how to set boundaries and students can "smell the fear," she said. Some blame a culture that has become more violent, parents who coddle their children or budget cuts that create larger class sizes. But cyber experts say it's the new tools in the hands of impulsive teens. According to a study of 18-year-olds at the Massachusetts Aggression Reduction Center at Bridgewater State University, 19.5 percent of boys and 13 percent of girls said they took a picture or video of a teacher during high school and only 2.3 percent were caught. The 349 teens were surveyed about their middle and high school behavior between September and December 2011. "The real problem is that we are not teaching our children how to think about and to control the use of technology," said the center's executive director Elizabeth Englander. "We are just giving them extra powerful technology and not discussing it with them. It's like back in 1928, when you got a driver's license just because you bought a car." She said the problem is less about teachers and more about teens' perception of the Internet. "Whatever they do online is anonymous and untraceable and unlikely to be seen by anybody," she said. Mob mentality is also to blame, she said. "When you are in a group, your personal responsibility reduces," Englander said. "None of them feels responsible if they are doing it in a pack. ... And they think it will impress their friends." "It's really a form of premeditated cyberbullying ... and it's escalating," said Mary Kay Hoal, founder and president of Your Sphere, a social networking site for teens, and Your Sphere for Parents, which provides Internet safety information. "It's much easier for kids because so many of them have smart phones," she said. "It's a technological wonder in the classroom, but when students use it irresponsibly, there are consequences." She lays the blame on parents for not educating their children about technology and its "sometimes catastrophic" ramifications. Children need to be taught "digital citizenship," but with budget cuts schools cannot afford to set aside classes. North Carolina teacher Emery, who in her 39 years in the classroom has mentored countless other teachers, understands some teachers are more vulnerable than others. "When I first started teaching, there was a teacher across the hall whose kids literally ran around the room like crazy people and she yelled all the time," Emery said. "When you have to yell, you lose your effectiveness." And if teachers aren't stimulating enough, "they become prey," she said. One younger teacher thought that if she just followed the lesson plan all would go well. "You have to establish who is in control and not be heavy handed -- just, 'I am in charge here,'" said Emery. "I didn't recommend her for the position because she would have been eaten alive. "Teachers have a reputation and kids know when you are strong and confident," she said. And to those who feel they are headed toward a meltdown, "You need to go," Emery said. "As a professional, you should have a censor out there." As for today's students, she said they are "angrier" than those she taught decades ago: "There is a whole lot out of their control." "I don't think they are given the options of to be kids," Emery said, though not excusing their behavior. "We as a society present the plate they have to eat and sometimes there is no choice. It produces a lot of frustration and anger."